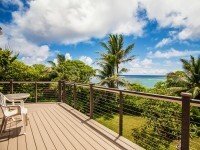 ANAHOLA, KAUAI VACATION RENTAL: Welcome to your own private Hawaiian paradise! 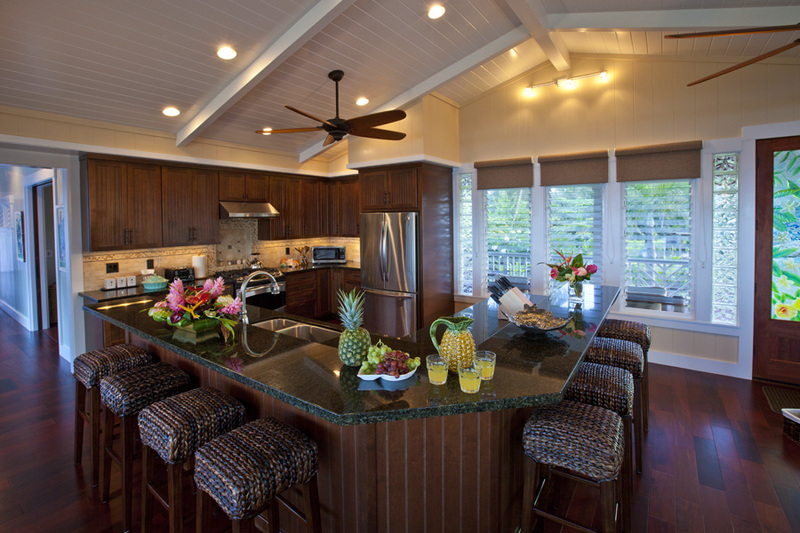 Enjoy the abundant Aloha at the brand new Ginger Beach House on Anahola Beach. 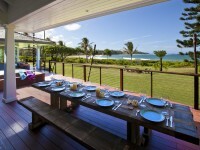 You will want to return to this 4B/3B special luxury vacation home year after year. 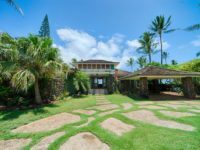 Good for the soul, this beautiful new home has 5-Star amenities and exquisite attention to detail. 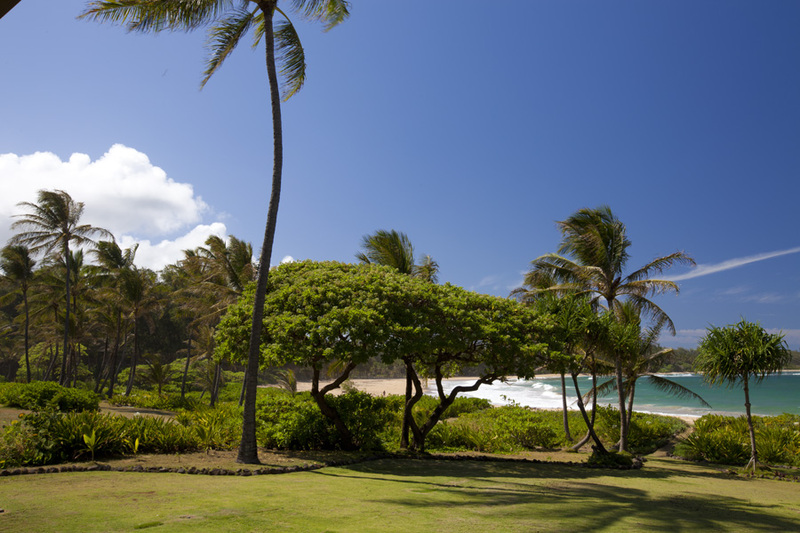 An expansive lush grass yard with 152 feet of beach frontage is great for outdoor play and private sunbathing. 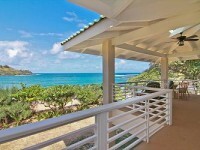 This setting is breathtaking with its white sand beach and azure ocean. 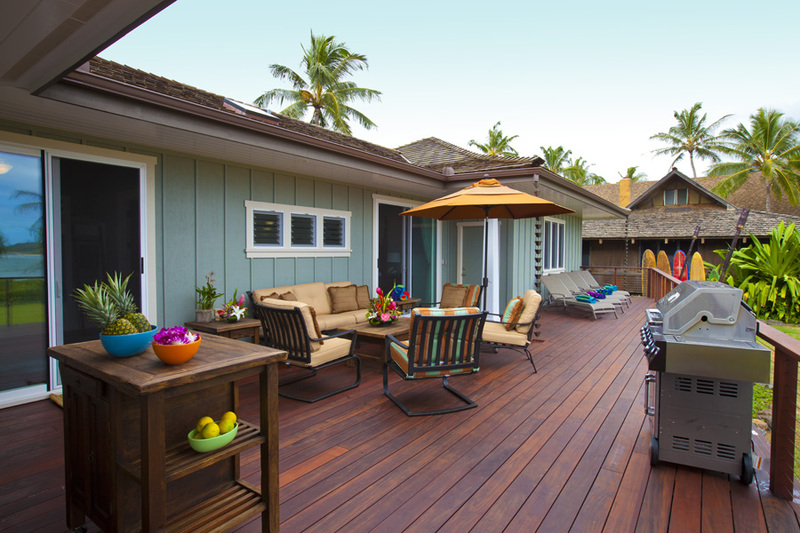 The lanai is fully furnished with new quality outdoor furnishings where you can lounge in a different spot each day reading, watching the water or just doing nothing. 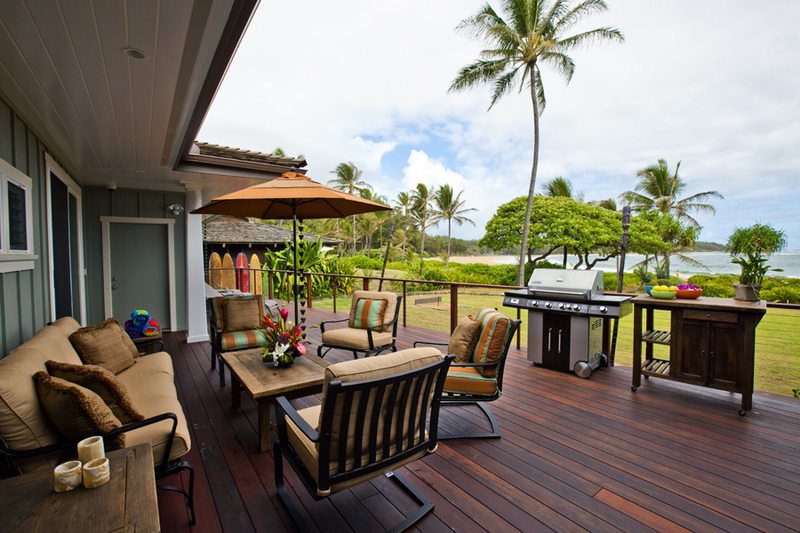 The beachfront lanai has been designed to make BBQ-ing and dining outdoors a breeze. 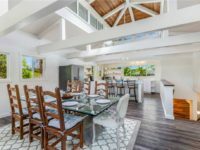 There is a large gas BBQ and serving tables on wheels to help you maneuver your food and prep materials from kitchen to BBQ to covered outdoor dining table which seats 16. 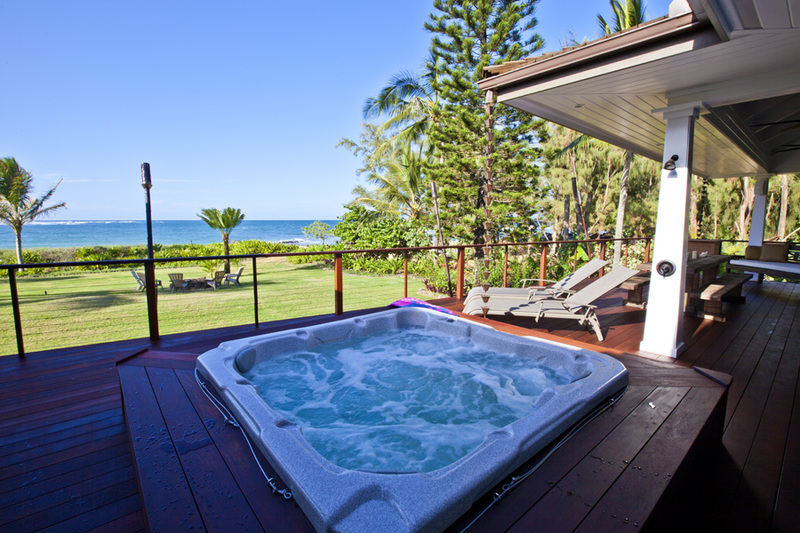 Dine outdoors while you enjoy the breathtaking view of the turquoise ocean or relax in your private Jacuzzi while gazing out at the beach. 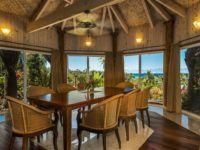 The Ginger Beach House features four beautiful bedrooms with large glass sliders that open to the gentle tradewinds and panoramic views of the beach. 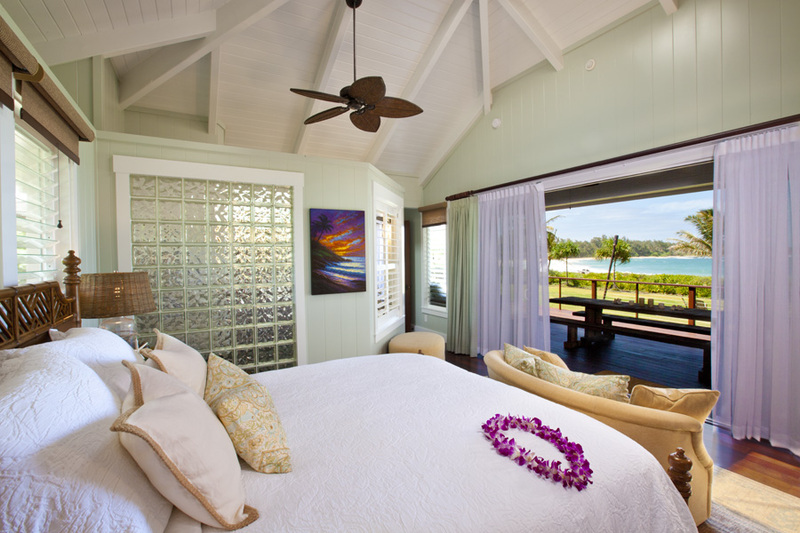 From your bedroom, step out to your oceanfront lanai and tropical paradise. 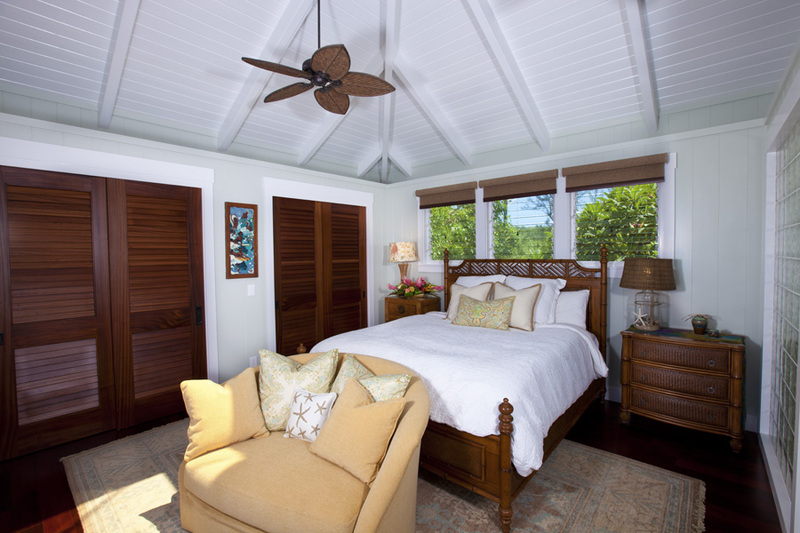 *Master Bedroom: Offers a King Bed facing the ocean. 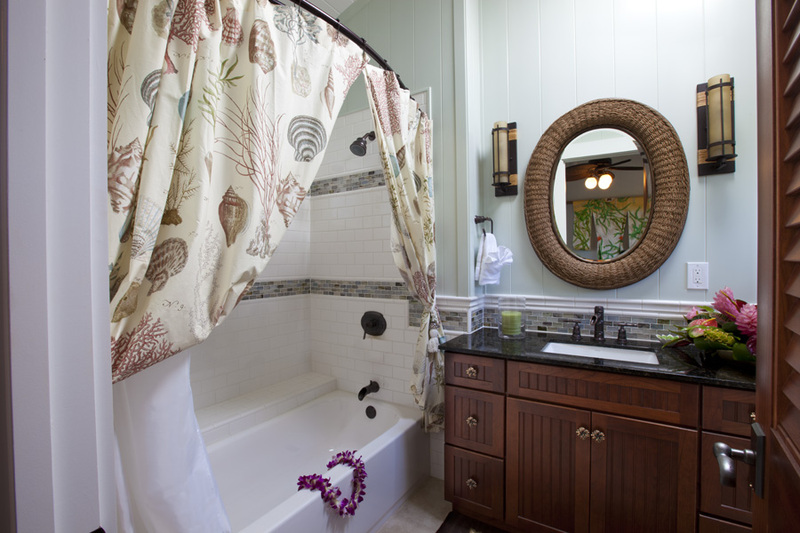 Private Bathroom with large soaking tub, ample walk in shower, and double sinks. 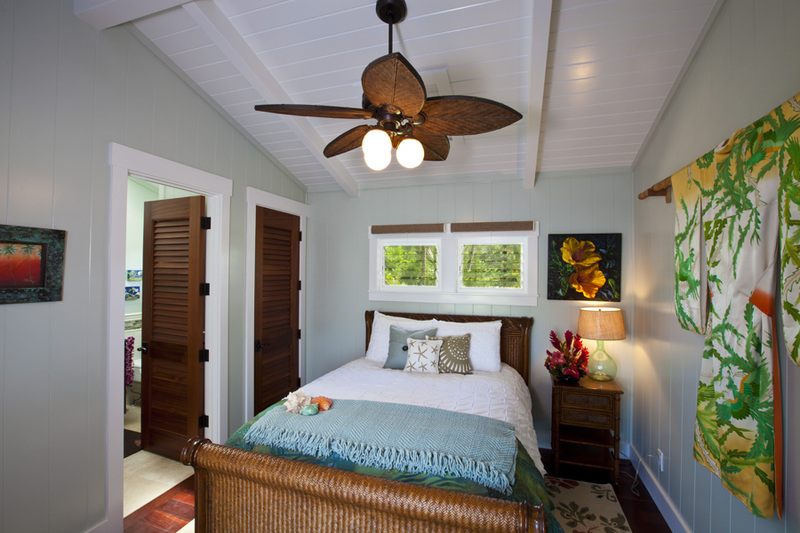 *Guest Room 1: Queen Bed with Private Bathroom featuring shower/tub combo and single sink. 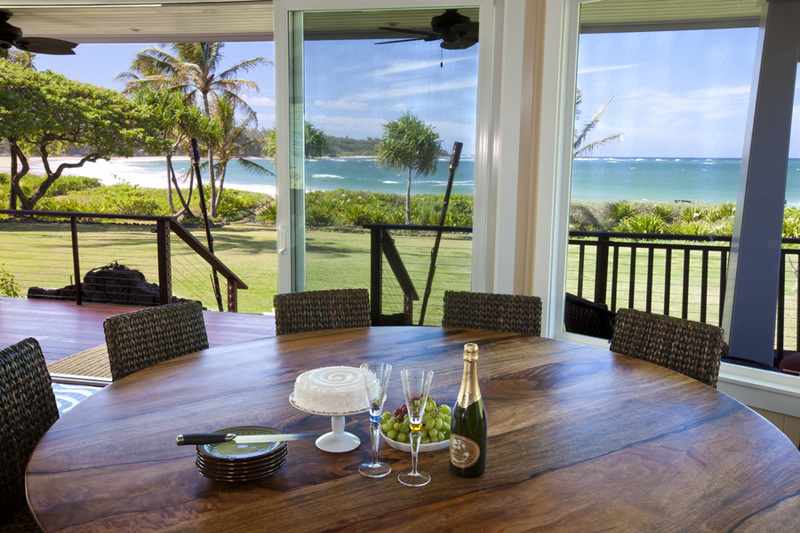 You have an amazing ocean view from this room when the door is open. 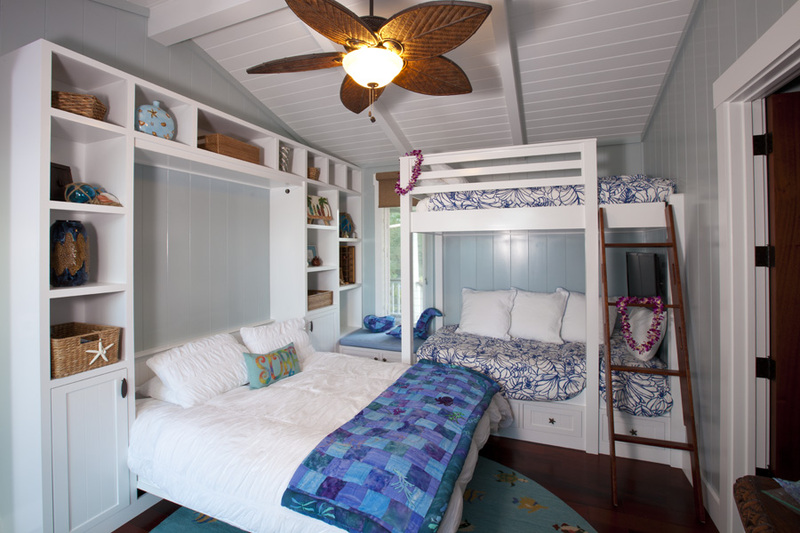 *Guest Room 2: Queen Murphy Bed and bunk bed with two twin beds and ocean view. 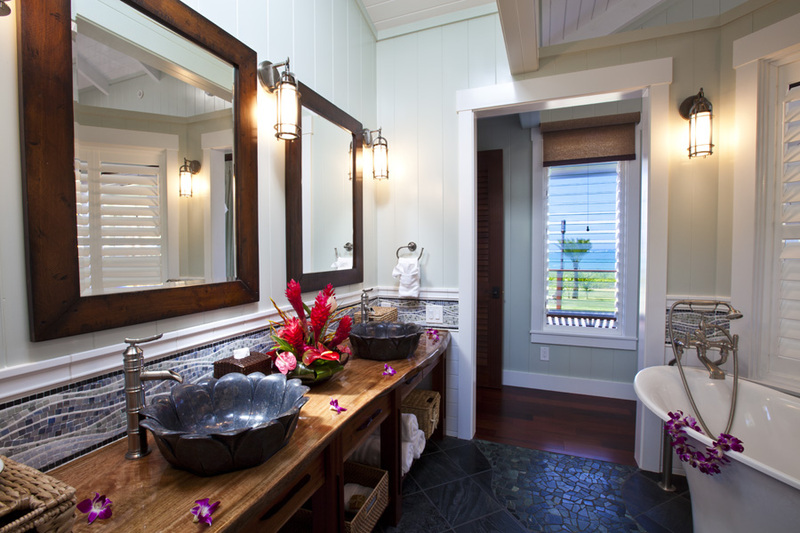 Shares bathroom with Guest Room 3. 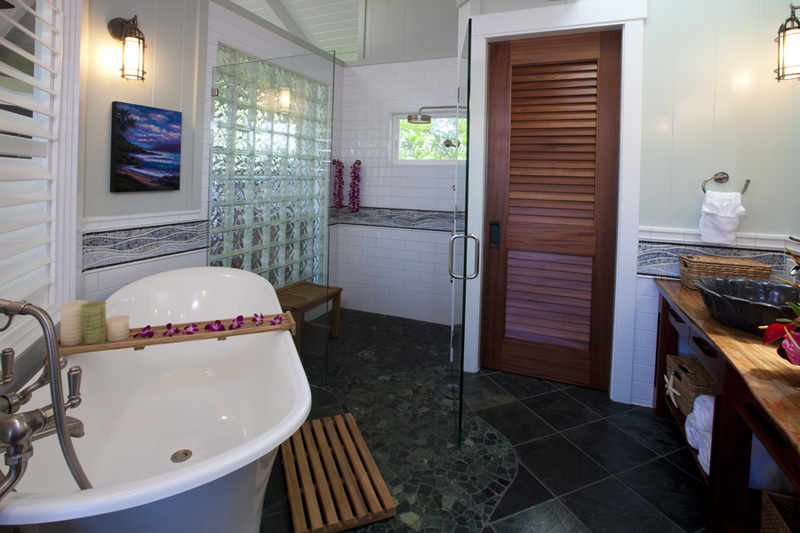 Bathroom features walk in shower and double sinks. 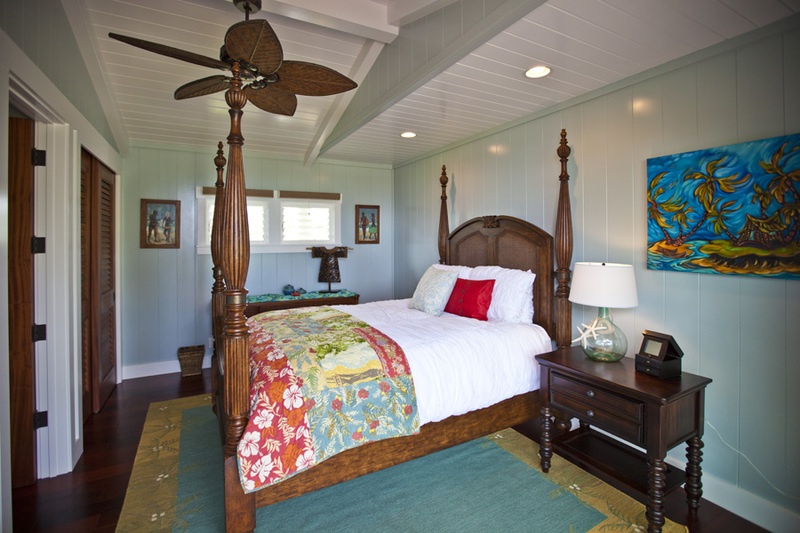 *Guest Room 3: Four Poster Queen Bed with ocean view. 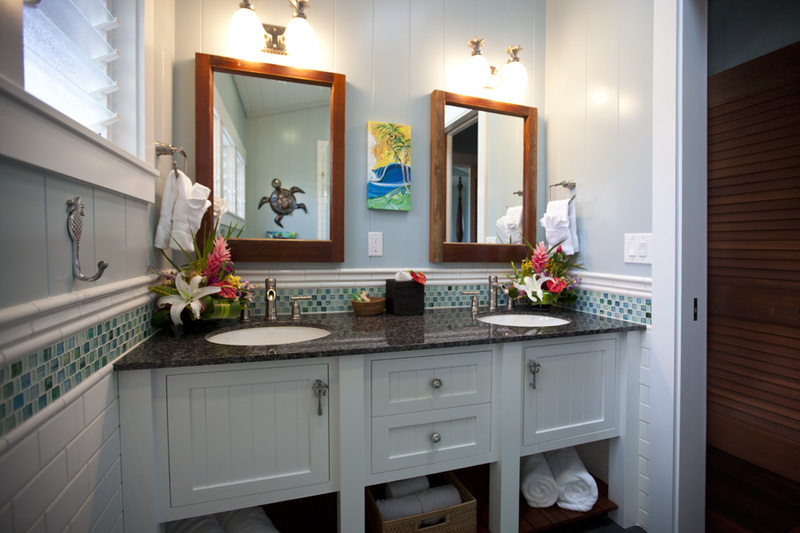 Shares bathroom with Guest Room 2. 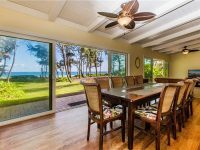 Enjoy sweeping ocean views from the Living Room which offers high ceilings and ceiling fans and a hidden 55″ inch flat screen TV with a home theater system and DVD player. There is also a Stereo System that is iPod ready. 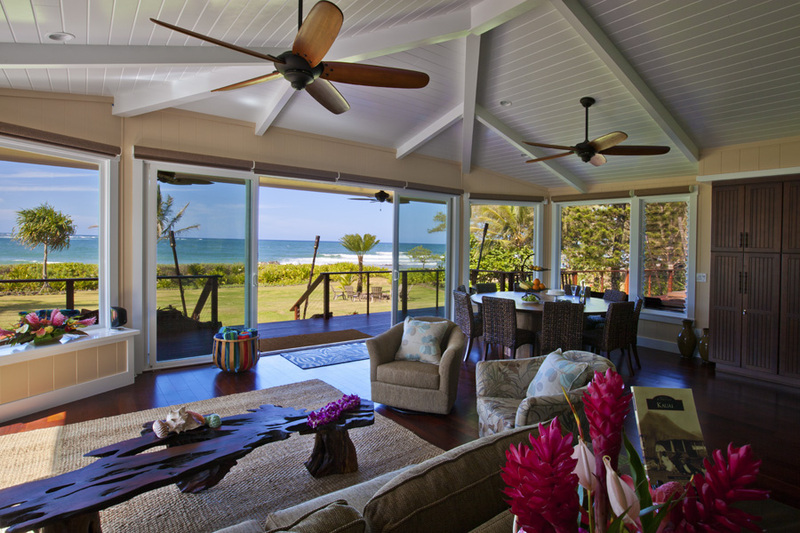 With one push of a button the TV will descend into the window ledge so when not in use it does not obstruct your ocean view. 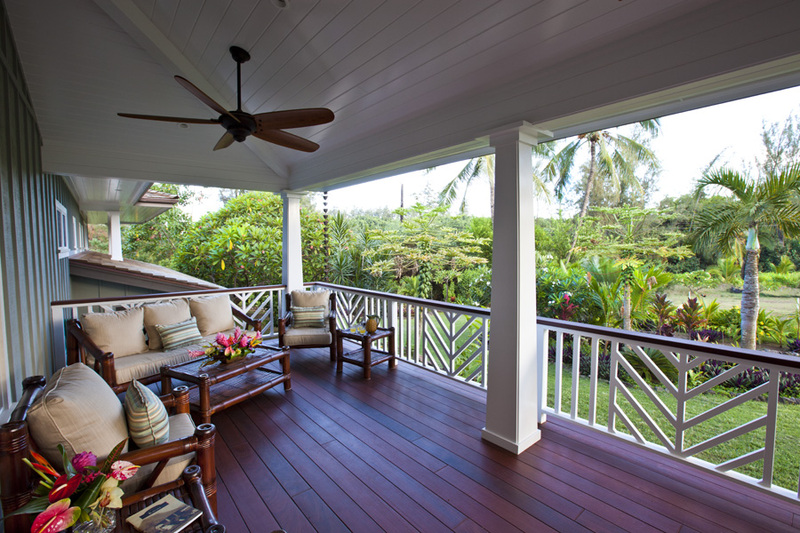 We provide High speed internet and WIFI at the Ginger Beach House. 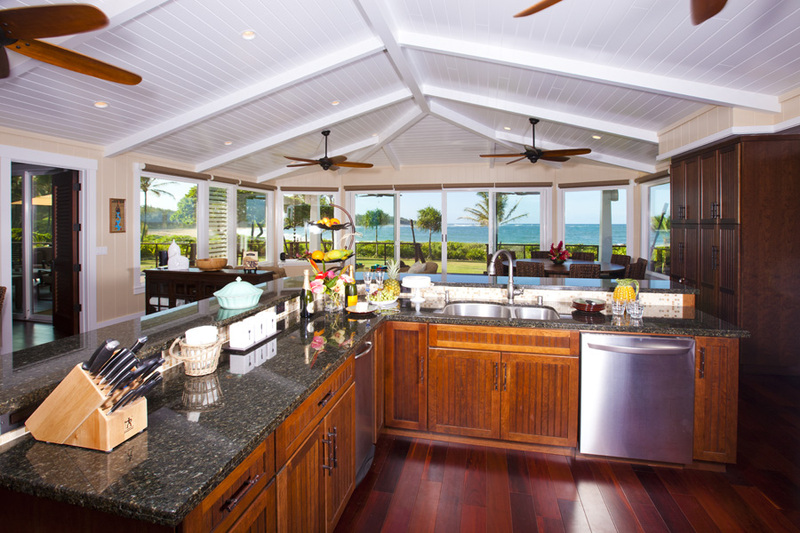 The Kitchen is State of the Art with bar seating or dining table seating for 12 with incredible views of the ocean through panoramic windows and sliding patio doors. 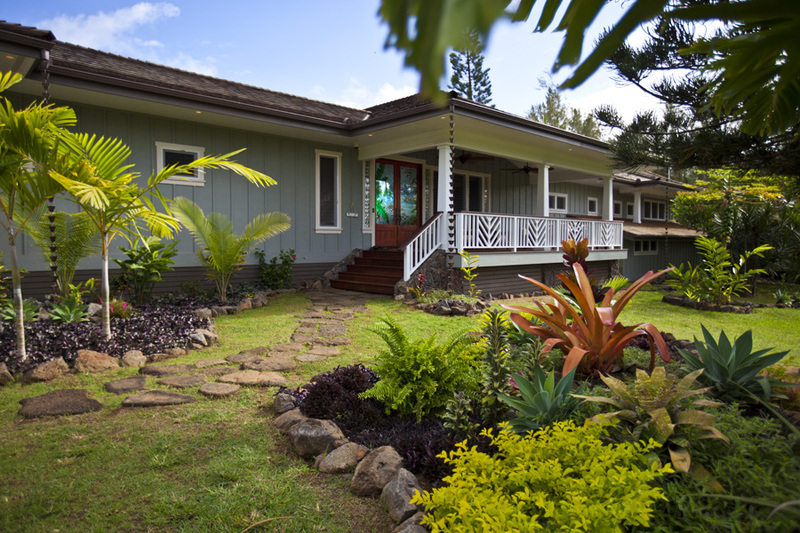 The large front lanai has comfortable seating with a garden view and is a perfect getaway if you want to grab a book and read or take a quiet nap. 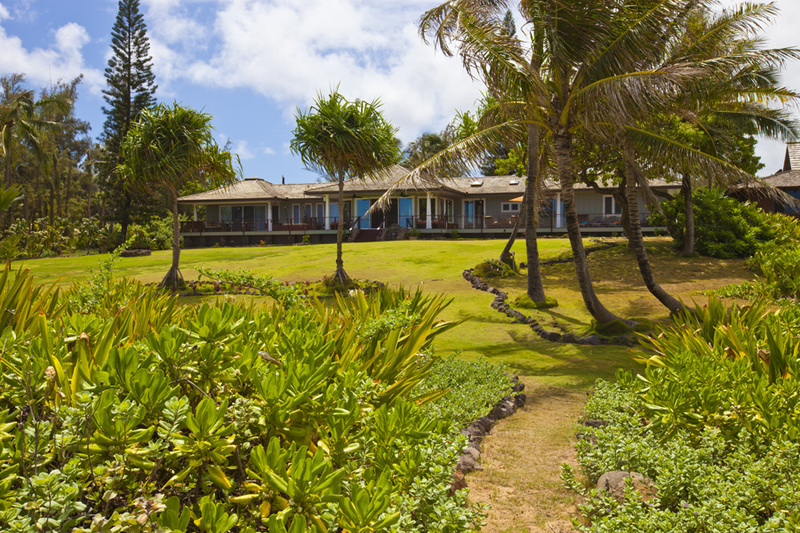 You are surrounded by serenity and beauty at the Ginger Beach House on Anahola Beach. 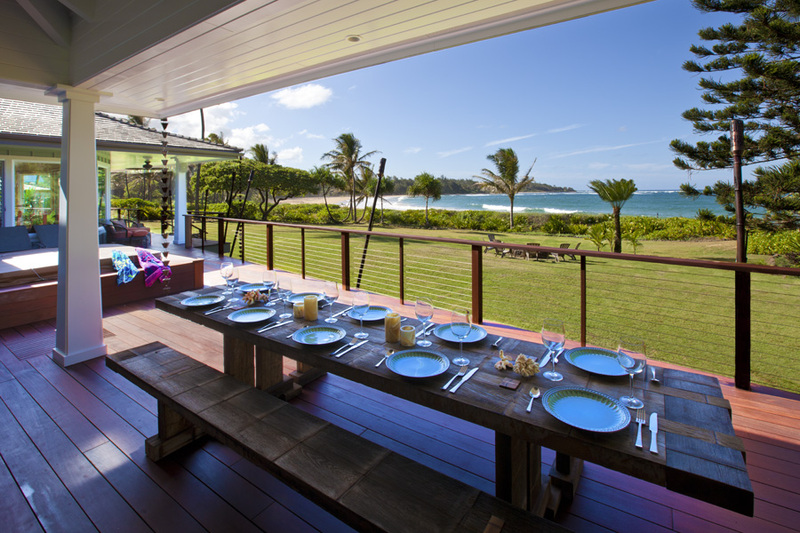 Bring family and friends and make memories that will last a lifetime.